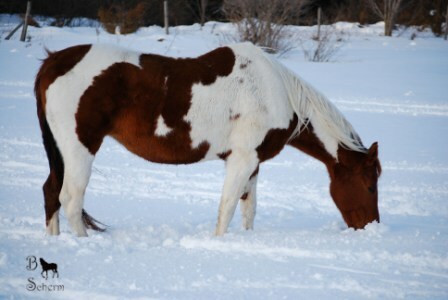 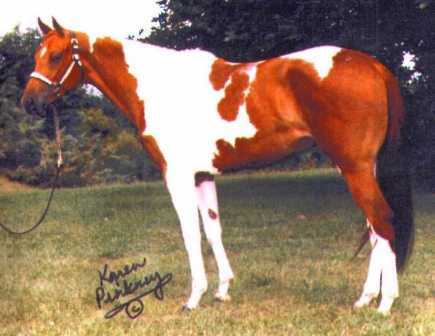 Nashville Starlight (Nash) is a 1993 APHA/PtHA chestnut tobiano by Misty Spotlight JC, and out of Nashville Calico (APHA chestnut tobiano) by King Nashville JC. 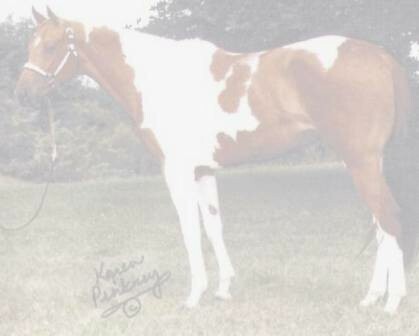 She has 37 Halter points, 14 English Pleasure points, 10 Hunter Under Saddle points, 4 Ideal English points and 37 Tobiano Color points in the Open Pinto Division; and 3 Halter points and 4 Showmanship points in the Amateur Pinto Division. 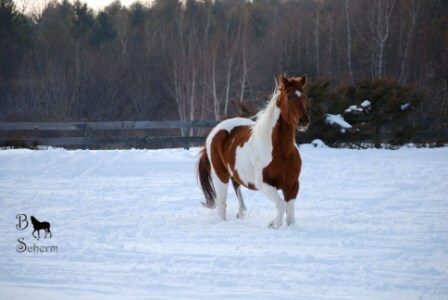 She is 16.0 hh and has a super sweet disposition. 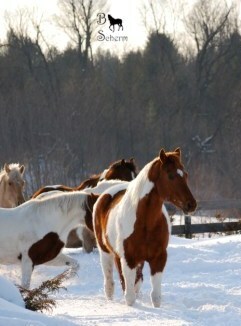 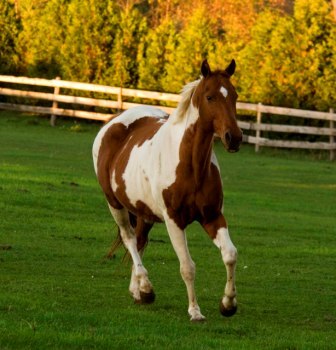 Her 2006 buckskin tobiano filly, Natalie, and her 2007 bay tobiano colt, Nick, can be seen on our sales page.